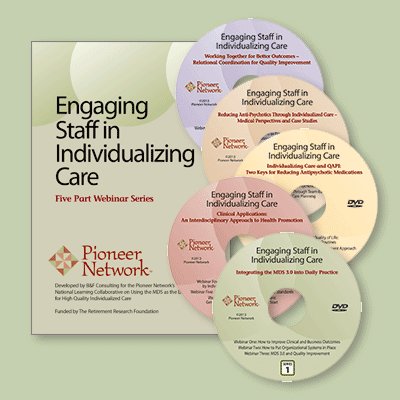 These webinars are products from Pioneer Network’s National Learning Collaborative on Using the MDS as an Engine for High Quality Individualized Care, made possible with the support of The Retirement Research Foundation. The Collaborative incubated B&F Consulting’s method for improving outcomes by engaging staff in individualizing care. The method first puts in place four foundational practices – consistent assignment, huddles, involving CNAs in care planning, and Quality Improvement (QI) closest to the resident – and then uses the practices to individualize care for improvements in high priority clinical areas. 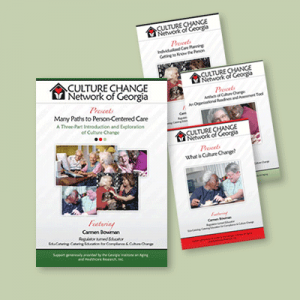 Forty-nine nursing homes incubated these practices through fifteen month learning collaboratives led by five Culture Change Coalitions and four corporations, achieving accelerated improvements in clinical, quality of life, human resource, and organizational outcomes. 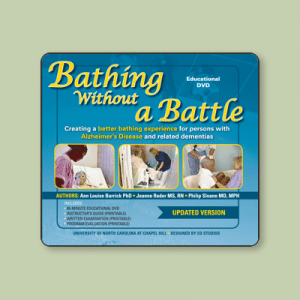 Teams from incubator homes watched 12 webinars covering the foundational practices, clinical applications, customary routines, reducing use of antipsychotic medications, and by improving teamwork. 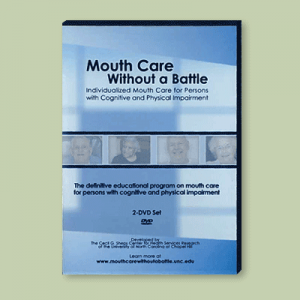 The webinars provide the building blocks for transformation of organizational and care practices.